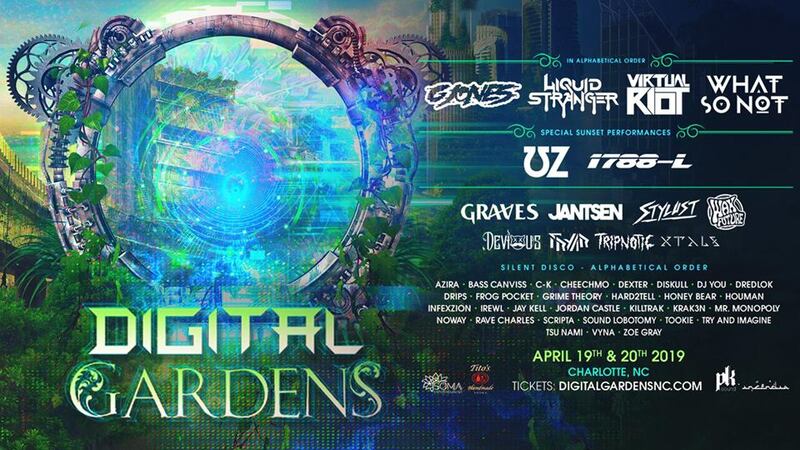 Welcome to the second annual Digital Gardens, North Carolina's newest 2 Day Music & Arts Festival located in Charlotte, NC. Featuring some of the hottest current names in Electronic Dance Music and Bass Programming, this event will turn heads in all aspects of its design from its lineup, to its interactive art installments, and everything in between. All this and more will take place at The Shed Amphitheater at Station House in the NoDa Art District of Charlotte.